1988: The research centre for Open Communication Systems (FOKUS) is founded as an institute of the Society for Mathematics and Information Technology (GMD) by Prof. Dr.-Ing. Radu Popescu-Zeletin in Berlin. The core area of FOKUS' work is the development and testing of new architectures and procedures for innovative applications in a broadband environment. 1996: Prof. Dr.-Ing. Radu Popescu-Zeletin receives the Rumanian science award for his life work. 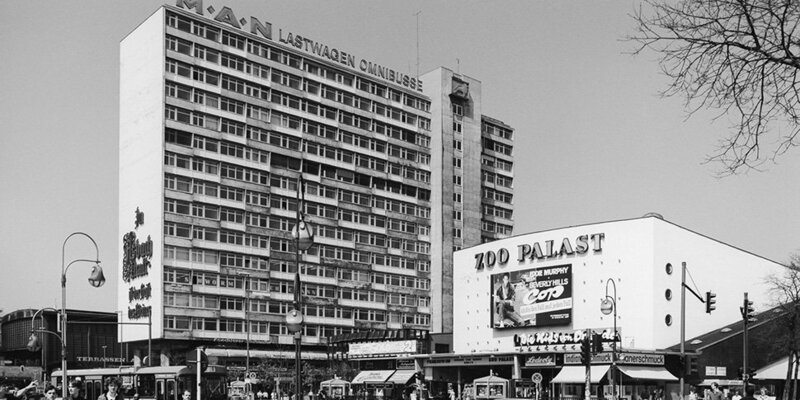 1997: FOKUS moves to the “Atrium” in the Kaiserin-Augusta-Allee in Berlin-Charlottenburg. 173 employees work at FOKUS. 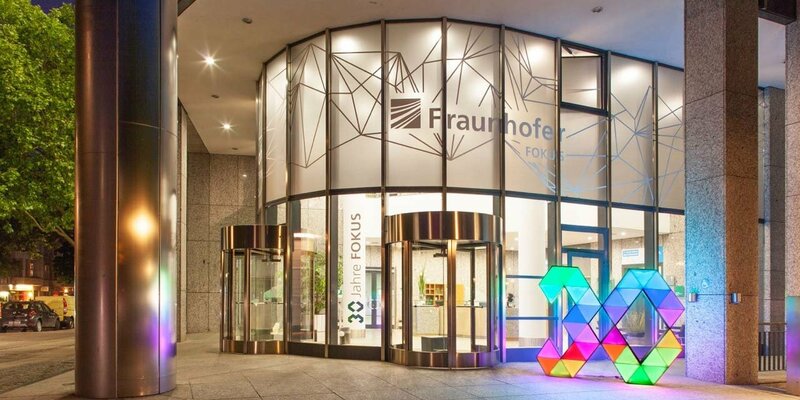 2001: The GMD and the Fraunhofer Association merge: FOKUS is from now on the Fraunhofer Institute for Open Communication Systems. There is a reorientation towards application-oriented research in a business environment. More than 200 employees work in eight competence centers. 2004: For her outstanding performances in research and teaching Prof. Dr. Ina Schieferdecker is awarded with the Alfred-Krupp promotion prize for young university lecturers. 2005: Prof. Dr.-Ing. Radu Popescu-Zeletin receives the highest decoration of the Republic of Rumania (Ordinul National Pentru Merit in grad de Comandor). 2005: The magazine “Bild der Wissenschaft” elects Prof. Dr. Ina Schieferdecker as one of the top ten German scientists. 2005: Opening of test- and development-labs in which own developments and products of our partners are integrated and practical scenarios are developed. 2006: The successful spin-offs Iptel.org and Twonky Vision GmbH are sold to US American companies. 2010: Introduction of the new German identity card: In cooperation with partners from the economy and public administration Fraunhofer FOKUS was significantly involved in the introduction of the new identity card of the Federal Republic of Germany. 2010: Awarded as “Selected place in the country of ideas” by the Germany-wide innovation competition “365 places in the country of ideas” for the mobile ridesharing “OpenRide”. 2010: The Future Internet Assembly awards the project “Panlab”, which is funded by the European Union and led by Prof. Dr. Thomas Magedanz (Fraunhofer FOKUS), with the “Future Internet Award”. 2010: Fraunhofer FOKUS is awarded with the “TeleTrusT Innovation Award 2010” for the data protection supporting combination of the new German identity card and the Microsoft technology U-Prove. 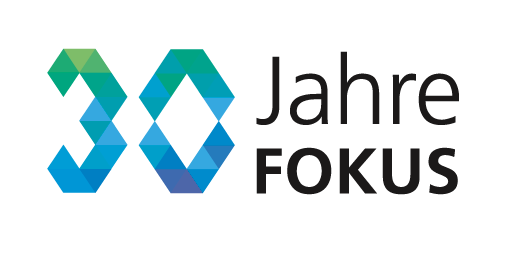 2012: The three Berlin information and communication Institutes FOKUS, FIRST and ISST-Berlin are merged under the name Fraunhofer FOKUS. 490 employees in eleven competence centers now develop information and communication technologies for smart cities. 2012: Berthold Butscher, vice manager of FOKUS, retires after more than 24 years at FOKUS and is replaced by Gerd Schürmann. 2012: FOKUS opens the innovation center “FOKUS InnoCity” in Santiago de Chile. With the new research site and in cooperation with South-American partners from industry, politics and science FOKUS wants to develop smart city solutions for the region. 2013: The Competence Center Public IT (ÖFIT) is founded by the German ministry of the interior. Awarded as “Selected place in the country of ideas” by the Germany-wide innovation competition “365 places in the country of ideas” for the early warning system KATWARN. 2014: Prof. Dr. Manfred Hauswirth becomes institute director on October 1. Concurrently, he becomes professor for “Open Distributed Systems” at the Technische Universität Berlin (TU Berlin). Prof. Popescu-Zeletin retires from his position as Director of Fraunhofer FOKUS on September 30. 2015: The Executive Board of the Fraunhofer Society appointed Prof. Dr. Ina Schieferdecker on January 1 in the institute management of FOKUS. She heads the institute together with Prof. Dr. Manfred Hauswirth and holds parallel a professorship at the Free University of Berlin for Model-based development and quality assurance of software-based systems. 2016: Fraunhofer FOKUS bundles its activities under the main theme “Digital Transformation”. The successful strategy audit reinforces the new direction. 2016: The ITEA project DIAMONDS has won the prestigious EUREKA Innovation Award in the category “value creation” and the project pitch during the “EUREKA Innovation Week” in Stockholm. 2017: The FOKUS Academy is being set up. Part of the academy is the “Lernlabor Cybersicherheit Berlin-Brandenburg”, which will be opened in June together with colleges from Berlin and Brandenburg and the Fraunhofer Academy. 2017: The Berlin Center “Digital Transformation” is opened as a cooperation between the Berlin Fraunhofer institutes: FOKUS, Heinrich Hertz (HHI), Institute for Production Systems and Design Technology (IPK) and Institute for Reliability and Microintegration (IZM). The speaker is Prof. Dr. Manfred Hauswirth. 2017: The Austrian Federal Ministry of the Interior introduces KATWARN nationwide in June. 2017: Following a nationwide competition, the German Internet Institute is founded in Berlin/ Brandenburg under the name “Weizenbaum Institute for the Networked Society”. Fraunhofer FOKUS is a partner and Prof. Dr. Ina Schieferdecker belongs to the founding directorate.